While this biography is not a shining example of literary skill, it does the job and is, I might mention, one of only a few about Moreau still available in English. As you'd expect, it's filled with useful facts and anecdotes about Moreau's life. Also, it's currently only $0.01 on US Amazon which is kind of hard to beat! Written by Francois Ozon's stills photographer and Moreau's close friend - we haven't read this one, but it's written by someone who knows Moreau intimately. Includes filmography and photographs. In French. 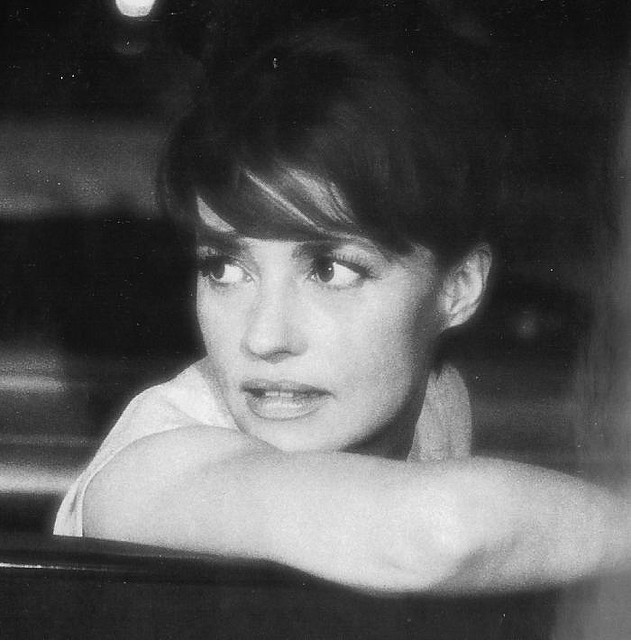 Jeanne Moreau (23 January, 1928 – 31 July, 2017) was a French actress whose strong character, sensual, expressive features and enigmatic air of mystery made her one of the most celebrated film stars in cinema history. In a career lasting over fifty years she worked with many of the world’s greatest directors including Louis Malle, Francois Truffaut, Michelangelo Antonioni, Orson Welles, Joseph Losey and Luis Bunuel. 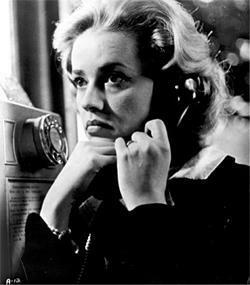 Jeanne Moreau was born on January 23, 1928 in Paris, the daughter of Anatole Moreau, a French barman and restaurateur, and Katherine Buckley, a English dancer from Lancashire who had come to dance with the Tiller Girls at the Folies-Bergére. Anatole Moreau’s family was descended from a long line of farmers and a year after Jeanne’s birth he took his wife and daughter and moved south to Vichy where he opened a small hotel and restaurant. Jeanne went to a strict Catholic school and grew up a tomboy, falling off her bicycle and climbing trees. The Moreau marriage was not a happy one; Anatole was a heavy drinker and refused to learn to speak English. His family didn’t like Katherine, ashamed that Anatole had married a dancer. For a time, Katherine took Jeanne and her younger sister back to England to live with her parents but when war was declared she decided that she must return to France to be with her husband. Over the next weeks she saw more plays and made up her mind to become an actress. Her father was violently opposed to the idea, slapping her across the face and saying he never wanted to hear her talk about it again. Her mother understood her feelings better and asked the advice of a neighbour, an actor himself, who recommended a drama teacher. The teacher carefully prepared her for an audition at the Conservatoir National d’Art Dramatique. She was accepted without hesitation. A year later she made her debut at the Comédie Francaise in Turgenev’s A Month in the Country. While she was studying at the Conservatoire, Jeanne’s parents separated. Her mother, after 24 difficult years in France, returned to England with Jeanne’s sister Michelle. Jeanne remained in France with her father. She was now under contract with the Comedie Francaise. In her four years there she appeared in twenty-two parts, and was cast in virtually every production. In 1949, she married Jean-Louis Richard who she had first met when they studied together at the Conservatoire. The day after their wedding, their son, Jérome, was born. Jeanne returned to work a month after the birth, leaving the baby to be brought up by her mother-in-law. Before Jérome was a year old, the marriage began to fall apart. “I was lost, alone with a husband and son, neither of whom needed me.” After two years of marriage Richard left, although they remained close friends. Jeanne left the Comédie Francaise in 1952. “Everyone thought I was mad to leave but it had become a prison to me,” she explained later. “I was disgusted by the immorality of the Comédie. The established actors would take roles they didn’t want just to keep others from having them.” For a year she played at the prestigious Théatre National Populaire, where she acted opposite such celebrated actors as Gérard Philipe and Robert Hirsch. Then on Philipe’s advice, she took a leading role as a prostitute in a new play by Anna Bonacci called L’Heure Eblouissante (The Dazzling Hour). On her second night, the show’s star fell ill and Jeanne was asked to play her role. Jeanne learned the new part overnight, and the next evening, since the two actors were never onstage at the same time, she appeared in both roles, alternating between “an honest woman who feels like a street walker and a streetwalker who feels like an honest woman.” It was a tour de force and ran for two years, almost 500 performances. In Ascenseur pour l’Echafaud (Elevator to the Gallows), Moreau plays a woman whose lover, played by Maurice Ronet, murders her rich and powerful husband in a perfectly planned murder, only to be trapped in a broken down elevator on the way out of the office. In the film’s most famous scene, believing herself to have been jilted by her lover, she wanders along the Champs Elysée at night, lit only by the harsh lights of the shop windows, while Miles Davis’s heartbreaking trumpet plays on the soundtrack. All the drama of the film and the character’s situation plays across her face in these moments. It was a new kind of reality for a new kind of cinema and, for the first time, Moreau proved herself a hugely gifted screen actress. By the time Louis Malle came to make his next film in 1958, Les Amants (The Lovers), there was only one actress he could consider for the lead. Not least because by then director and actress were in a passionate love affair of their own. In the film Moreau plays a woman who abandons her home and family for a casual lover she meets by chance. When Les Amants won a prize at the Venice Film Festival, Moreau became celebrated as a new kind of liberated woman. The film ran into censorship problems when it was released which gave it a boost at the box office. All the attention and the pressure that came with it, lead to the end of her affair with Malle. Unhappy after the break up and the loss of her privacy, Moreau considered giving up films altogether, and, for a while returned to the theatre where she played a tart in Félicien Marceau’s comedy La Bonne Soupe (The Good Soup), at the Theatre du Gymnase. At the same time she moved from her old apartment in the Latin Quarter to a house in a quiet district of Versailles. It was a time to take stock. She was 30 years old and unsure of what to do next. She brooded over her situation for almost a year and then she met Francois Truffaut. Moreau went back to work with a renewed sense of purpose. In 1959 she starred as the vicious socialite La Merteuil in Roger Vadim’s Les Liasons Dangereuses, a conflicted nun in Dialogue des Carmélites and had a cameo role in Truffaut’s Les Quatre cents coups. The following year she was in Peter Brook’s adaptation of Marguerite Duras’s novel Moderato Cantabile (Seven Days, Seven Nights, 1960) opposite Jean-Paul Belmondo. While on location filming Moderato Cantibile, Jeanne’s ten-year-old son Jérôme was invited by Belmondo to ride in his sports car. They crashed and the boy was rushed to a clinic where he lay comatose for sixteen days. He eventually made a full recovery but the experience was a wake up call for Moreau. Having witnessed somebody she loved come so close to death made her value life more. She discovered new interests and enthusiasms. She began a successful secondary career as a singer with a string of successful record releases. She also bought a farm house in the South of France, where she spent most of her time when not filming, reading, cooking, and entertaining friends. Moreau next worked with acclaimed Italian director Michelangelo Antonioni on La Notte (The Night, 1961) as Lidia, the wife of Marcello Mastroianni’s novelist, Giovanni. Although she admired the director, the shoot was a difficult one for her. She hated working all night, and disliked the film’s pessimistic point of view and never sympathised with her character. After such a disheartening experience, Jeanne needed a part she could put her heart and soul in to. The opportunity came the following year when Francois Truffaut offered her the part of the mercurial Catherine in what would become a masterpiece of the Nouvelle Vague, Jules et Jim. Adapted from the novel by Henri-Pierre Roché, the story takes place in the belle époque period in Paris, and tells the story of best friends Jules and Jim who both fall in love with the same woman. Critics and public agreed, Jules et Jim took numerous prizes worldwide and was a commercial success. 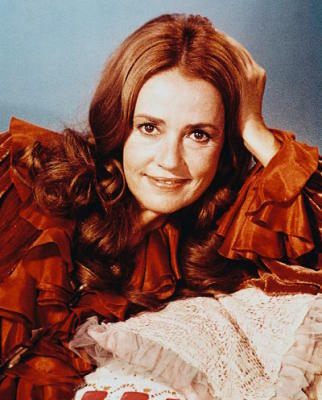 The film confirmed Moreau’s status as a major actress and an icon of her time. Her portrayal of a woman who lives for the moment and goes where her passions lead her, became a defining an inspiration for many, anticipating the coming 60s generation of liberated women. It was at this time that Jeanne met Pierre Cardin, the designer, when she was trying on one of his outfits. It was love at first sight. They spent five years together, their relationship captured by the press in exotic locations like Greece and Tahiti or at home in Paris. She became his best-known model and he became the man behind her looks. They became one of the most talked about couples of their time, with the question of whether they would ever marry, a frequent topic of conversation (they never did). After Jules et Jim, Moreau went to Italy to star in Joseph Losey’s film Eva, as a high-class prostitute who destroys the life of a Welsh writer living in Venice. “She has the gift of intensity. From the moment you first see her face, you can never forget it,” Losey said of Moreau. For her part, Jeanne found Losey “a strange man”, and the shoot, often in freezing temperatures, a difficult one. She next returned to the South of France to work on Jacques Demy’s La Baie des Anges (Bay of Angels) Her belief in the then unknown director, lead to her co-producing the film, and she gave one of her best performances as a compulsive gambler who leads a young man astray. Jeanne Moreau and Orson Welles had been friends since the early 50s when he saw her on stage in Paris. He once described her as “the greatest actress in the world”. In 1963 she played a small role in his adaptation of Kafka’s The Trial, the first of four films in which she would collaborate with him in the 60s. In 1966 she appeared as Doll Tearsheet in Welles’s version of Shakespeare’s Falstaff story, Chimes at Midnight. In 1968 she starred in his film version of the Isak Dinesen tale, The Immortal Story, and during these same years shot part of his troubled production The Deep, which, for financial reasons, and also because of the death of one of its stars, Laurence Harvey, was never completed. 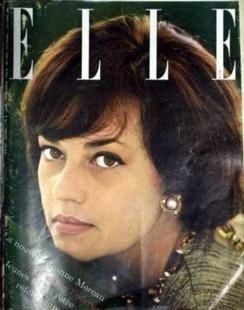 Jeanne Moreau’s growing international stardom brought offers to appear in English language productions. In 1963, she went to London to act in Carl Foreman’s Second World War action adventure The Victors (1963), and the following year made up part of the international cast of The Yellow Rolls Royce (1964). Jeanne herself had a Rolls Royce car during this time and was driven to the set each day her own chauffeur. In 1965, she appeared with Burt Lancaster and Paul Schofield in The Train (1965), another war film. These international pictures raised her profile outside France but none of them compared with the smaller-scale films that had made her name. In 1964, the Spanish surrealist director Luis Bunuel cast Moreau to play the chambermaid who discovers her ability to influence the lives of her masters in Diary of a Chambermaid. Bunuel thought Jeanne was a marvellous actress and particularly admired the way she walked. “When she walks, her foot trembles just a bit on its high heel, suggesting a certain tension and instability,” he wrote in his autobiography. She in turn was fascinated by him and used to say he was the father she wished she had had. From the start actress and director had a special understanding. “When we worked together, we didn’t need to talk. Just to look was sufficient,“ she said later. She gave one of her best performances in the film, which, despite its poor critical reception at the time, has now attained the status of a classic. One of Moreau’s most high-profile performances came the following year, when she starred opposite Brigitte Bardot in Louis Malle’s Viva Maria! The publicity generated by the presence of two such big stars meant the shoot was constantly interrupted by an army of press corps taking photographs and looking for a story. The rivalry between the two stars was constantly played up, and numerous anecdotes emerged from the set. The film featured in cover stories in magazines worldwide. All the publicity helped the film become a major box office hit and both actresses became internationally famous. 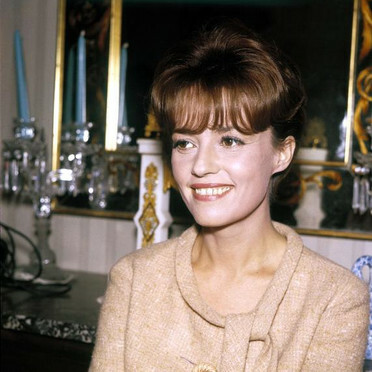 Jeanne Moreau’s next important collaboration was with Tony Richardson, the acclaimed director of Tom Jones. He persuaded Jeanne to star in Mademoiselle, an adaptation of a Jean Genet story in which she played a demure but neurotic and sadistic country teacher. The film was entered at Cannes in 1966 and caused a scandal for its explicit sexuality. The reviews and subsequent box office were, however, disastrous. Undaunted, she and Richardson went on to make another film together, The Sailor from Gibralter (1967), based on a novel by Marguerite Duras. Set mostly on board a boat a sea, it proved a very difficult shoot. Relations between the director and the rest of the cast, which included Ian Bannen and Orson Welles, were tense and Richardson’s passion for Moreau contributed to the break-up of his marriage to Venessa Redgrave. After turning down the chance to play Mrs Robinson in The Graduate, Moreau went to England to work on the costume drama Great Catherine with Peter O’Toole. As soon as filming wrapped, she returned to Paris to work on Truffaut’s La Mariée était en Noir (The Bride Wore Black, 1968), as a widow who kills the men responsible for her husband’s murder. Feeling the strain after the ending of her relationship with Pierre Cardin Moreau looked tired at times on screen, but the film’s noir atmosphere and Hitchcockian suspense proved successful with audiences. After the collapse of Orson Welle’s troubled production of The Deep, Jeanne Moreau retreated to her farmhouse at Le Préverger for almost a year. It was a time of reflection; Jeanne was now forty and had made fifty films. She felt exhausted and dissatisfied with her recent work and needed time to clear her mind. She settled for homely routines: making jam, tending the vineyards, making another record of traditional chansons and looking after her ill father. The ‘Rolls-Royce period’ with the furs and champagne had ended. She was lured out of semi-retirement to star opposite Lee Marvin and Jack Palance in the Hollywood western, Monte Walsh (1970). Other offers came; most fell apart or were turned down. She appeared briefly in Alex in Wonderland (1970) and Jean Renoir’s last film Le Petit Theatre de Jean Renoir, returned to the crime genre for Comptes à Rebours (1971), worked with Philippe de Broca on Chère Louise (1972), and Marguerite Duras on Nathalie Granger (1973). She gave fine performances in the films of two important young French directors, Bertrand Blier’s Les Valseuses (1974), and André Téchiné’s Souvenirs d’en France (1975), and reunited with Joseph Losey on Mr Klein (1976). In 1975, Jeanne Moreau directed for the first time. Lumière chronicles a week in the life of four actresses of different ages and their complex relationships with one another, their men and careers. Encouraged by some good reviews and reactions to the film, she directed L’Adolescente in 1979, a coming-of-age story set in the French countryside in the years leading up to the Second World War. In 1977, Moreau married her second husband, the Hollywood director William Friedkin. After the ceremony in Paris, she packed up and went to live with him in Los Angeles. Due to their respective commitments, however, the relationship soon broke down and they divorced a year later. Moreau returned to France and immediately threw herself into directing her second movie. When it was finished she moved into a small apartment in Paris with a view of the Seine. It was the start of another long spell of withdrawal. She worked infrequently during this period, concentrating instead on cultivating her inner self and recovering her fragile state of health. 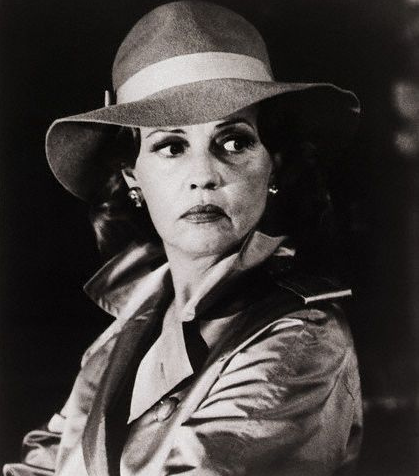 Moreau made a high-profile comeback in 1982, with her portrayal of a brothel madam in German New Wave director Rainer Werner Fassbinder’s Querelle. When the director died soon after completing the film, it was left to Moreau to promote the film, which raised controversy because of its explicit gay subject matter wherever it was shown. By 1986, when she returned to the big screen, Moreau had become a legend in her own lifetime. There were retrospectives of her films in cities around the world and she was celebrated wherever she went. At last she was offered substantial roles in a string of good-quality films like Le Paltoquet (1986), a surrealist comedy with a great cast which included some of the big new names in French cinema Daniel Auteuil and Fanny Ardent, Sauve Toi, Lola (1986) in which she played a woman suffering from cancer, and Jean-Pierre Mocky’s satirical comedy Le Miraculé (1987). Further success came in a new play called Le Récit de la Servante Zerline in which she starred as a servant who tells a guest in a château the story of her life. It was her greatest stage triumph since the 1950s. She held audiences rapt with her recital, helped only by a few words from her acting partner, who sat on a divan throughout, listening to her life, saying no more than a few words. She went on to tour the world with the production, which helped to revitalize her career. Now in her sixties, Moreau’s career was back on the fast track. She starred in a series of six television films based on Jean Giorno’s Ennemonde, as a wife and mother of nine who falls for a fairground wrestler, finding the real meaning of love. She put herself back on the international radar with a cameo role in Luc Besson’s thriller about a female government assassin, Nikita, and played the memorable role of a blind woman who, at the end of her life, is finally able to see, in Wim Wenders’ Australia set epic Until the End of the World (1990). 1991 was a particularly busy year in which she worked on 6 different films including La Pas Suspendu de la Cigogne opposite Marcello Mastroianni, and as the voice of the narrator looking back on her romance in twenties Saigon in the hugely successful L’Amant (The Lover). More acclaim greeted Moreau’s performance as a fading society beauty, now a con artist, in the daring comedy La Vieille qui Marchait dans la Mer (The Old Lady who Walked in the Sea, 1992), for which she won the César for best actress. She worked on two successful BBC productions, The Summer House (1993), and A Foreign Field (1993), collaborated with Wenders and Antonioni again on Beyond the Clouds (1995), and starred in Ishmail Merchant’s The Proprietor (1996). 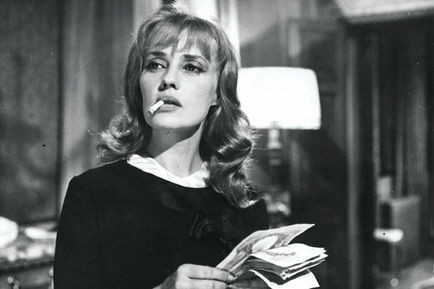 In the first decade of the 21st century, Jeanne Moreau’s filmography now includes over 130 films. Recent movies include Lisa (2001), Le Temps qui reste (Time to Leave, 2005) and Plus tard (Later, 2008). She has been honoured with a number of awards including the Légion d’honneur, the Fellowship of the British Film Institute, a Golden Lion for career achievement at the 1991 Venice Film Festival and a 1997 European Film Academy Lifetime Achievement Award.